It’s no secret that I’m proud of the transformation that has happened at the farm over the past two years. But it takes many hands to make a vision reality. 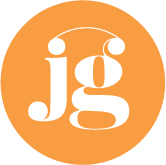 Enter JEM Garden Center, our next featured Stiletto Sponsor. Pat Ellis and his crew have played a significant role enhancing the viewscape of our landscape here at Meadow Branch Farm. 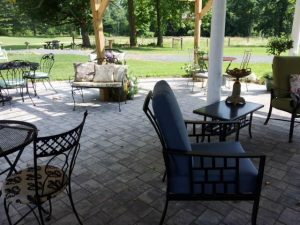 Building stone walls, creating stunning paved patios around our cottage home and the surrounding outbuildings, orchestrating so many aspects of the “heavy lifting” around this 80 acre property, the dedication of Pat, Fuentes, and Edwardo have been both invaluable and greatly appreciated. 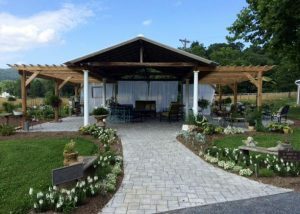 But the crown jewel of JEM Garden Center’s artistry lies in the paved patio which was created beneath our new pavilion early this Spring. This allowed our structure to become a true outdoor room– a sanctuary that has already become a peaceful meeting space for client meetings and visits from friends. I know you will see its magic during our Soles of Love garden party. How appropriate that our theme for this year’s event is A Clean Slate. It is my way of remembering that every soul deserves a chance to begin again. A rebirth. Fresh start. And so, it is with a full and grateful heart that I thank JEM Garden Center for their sponsorship, but more importantly, for the realization of new beginnings at a time when my family needed it most.